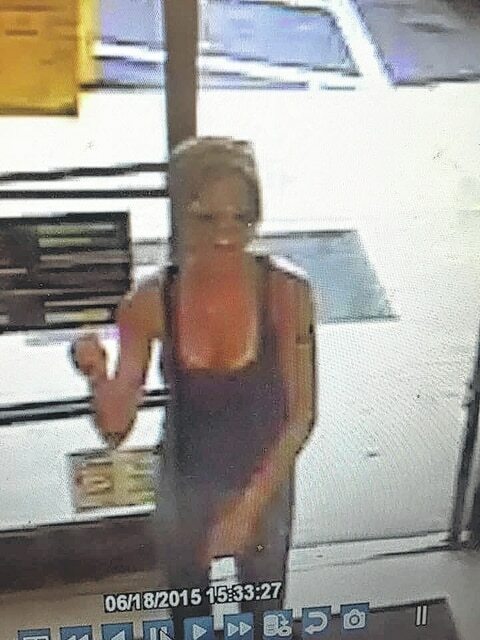 An investigation is currently underway by the Lewis County Sheriff Department regarding a theft at a Dollar General Store in Tollesboro, Ky., on June 18, 2015, at approximately 4:30 p.m. According to the Sheriff’s Department, the suspect entered the store and falsely identified herself, causing the store to lose a large amount of cash, according to the release from the department. Authorities are utilizing store surveillance camera footage to identify the suspect and her accomplices, as well as looking into several leads which they have received. On Tuesday, June 23, in the afternoon the suspects remained at large. Photographs of the surveillance footage can be viewed on the Lewis County, Ky. Sheriff Department Facebook page. Any information regarding the suspects involved in the store theft are asked to contact the Lewis County Sheriff Department immediately at 606-796-2912. According to the Sheriff’s Department, all calls will remain anonymous.